Jerry Elsberry, 87, of Nampa, passed away on Friday, January 18, 2019 at home. She was born September 22, 1931 in Boise and raised around the valley including Emmett, Boise and Meridian. Jerry was one of eight children. Jerry was married to Duane Elsberry for 57 years. They were high school sweethearts. Jerry and Duane had seven children. Jerry and Duane owned a farm in Sand Hollow for many years. 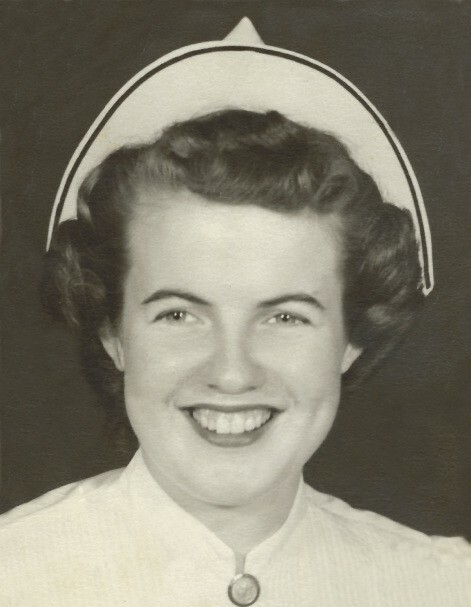 She became an RN in 1952. She worked at the original Old Mercy Hospital. Jerry loved being a nurse. She was loved by many in the community. Jerry is survived by her children, Rick (Teri), Bobbi (Fred), Randy (Nancy), Russ (Vicki), Tim, Rhonda (Gary) and Todd (Sherrie). She was loved by 15 grandkids and 5 great grandchildren. Jerry is preceded in death by Mr. and Mrs. Jack Christison; brothers, Everett, Jackie, and sisters Pat and Marilyn and her husband Duane in 2010. Services will be held on Friday, January 25, 2019 starting with a brief prayer service at the Potter Funeral Chapel at 11:00 am then proceeding to the Emmett Cemetery for a graveside service.